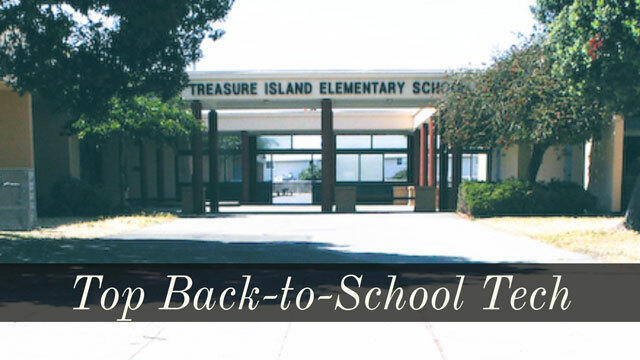 Back to school is around the corner—there are clothes to buy, textbooks to track down, and a whole list of required school supplies. But while you may have these traditional essentials down, many shoppers have tech items on their list. According to the Consumer Technology Association, 59 percent of Americans who have done or plan to do back-to-school shopping this year expect to buy tech or tech accessories. Tops items include headphones, laptops, tablets, portable memory and protective cases, among others. So we pulled together some high tech gear that can help make back-to-school a bit easier for both you and your kids. Getting out of bed can be one of the toughest parts of the day for both kids and adults. The right gadget will help you get out of bed in good shape. While Beddi can wake your child with an ordinary alarm, it can do a lot more than that. Its white noise generator can help with getting to sleep at night and a wake up light offers a gentle wake up in the morning—or, if they prefer, your child can wake up to their loudest Spotify playlist. Set as many alarms as necessary using Beddi's app, which can work with the schedule of even the busiest college kid. To help get the morning off to a good start, Beddi shows the latest weather and traffic info—and can even call an Uber with one click for last-minute dashes across campus. Beddi helps keep their gadgets going, too, with two USB charging ports—one a 2.1a rapid charging port designed for tablets that need extra power. And for downtime between studying and sleep, Beddi also has a Bluetooth speaker and a color-adjustable mood light. 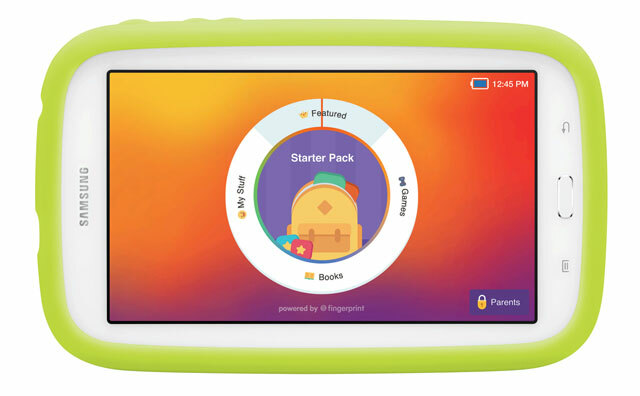 A younger child isn't likely to care about Beddi's smartphone-friendly features, but it's a good choice for a tech-savvy high school or college-bound student. 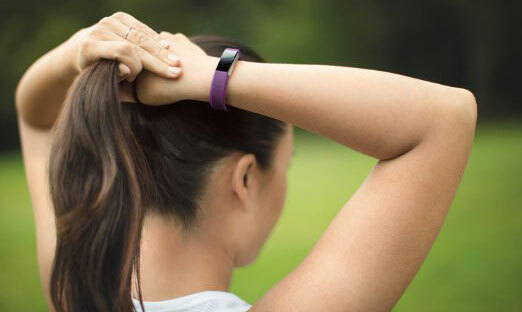 You might not think fitness tracker when you think back to school, but the Fitbit Alta has some handy features that go beyond counting steps—though it does that and all of the other standard fitness features, too. The wrist-worn gadget also acts as an alarm, vibrating to wake your child in the morning. 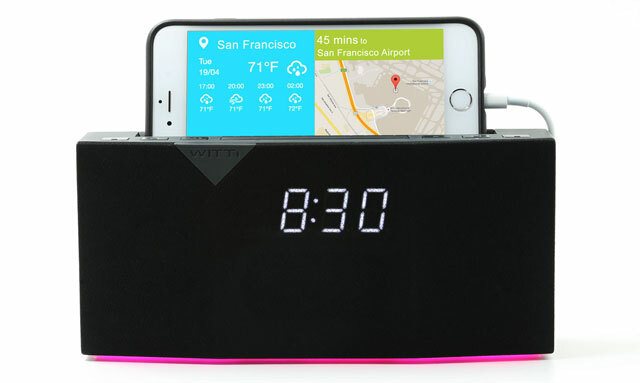 It makes for an easier way to wake up and, as a bonus, it won't wake roommates, either. Alarms, which are set through the Fitbit app, can also keep your child on schedule by vibrating when it's time to head to class. To help with a college student's heavy study schedule, the Alta has hourly notifications to get up and move if they've been sitting still for an hour. It's a great reminder to take a break—and bypass the health problems that come from sitting still or staring at a computer monitor for too long. Plus it's sleek and stylish, with interchangeable bands to fit any look. This is another gadget that's best for older students, especially those with demanding schedules. It's especially tough to get your child going in the morning when they aren't feeling well. 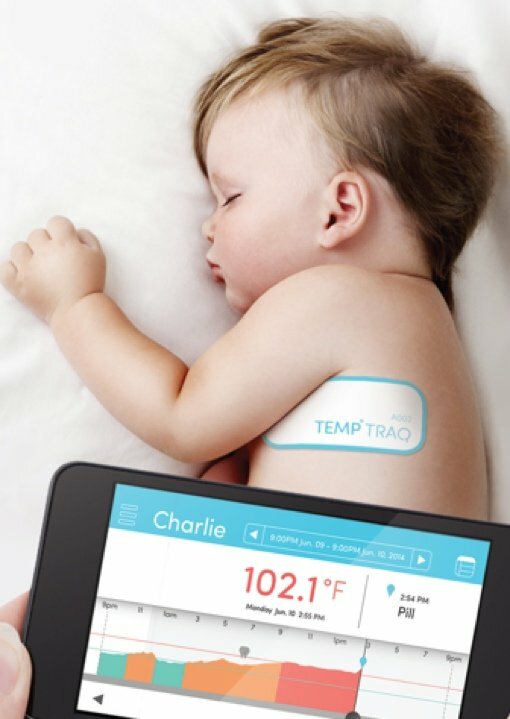 When they're under the weather, keep an eye on them with the TempTraq wearable, wireless temperature monitor. TempTraq is a soft, thin patch that you press under your child's armpit. It will stay on for 24 hours, regularly sending temperature data to your smartphone via Bluetooth. It's the best way to keep an eye on a sick child—of any age—without disturbing them to take their temperature. You can set the app to send you an alert when the temperature hits a certain level, keep notes on when medicine has been taken and email temperature data to your health care professional. While the patches are single use, you just can't beat the convenience—and if there's one thing guaranteed by back to school season, it's that your child will get sick at least once. Once everyone's out of bed, the next hurdle is getting them where they need to go on time. For teens driving themselves you'll be interested in technology to minimize safety risks, while for younger children you're more likely to want something to keep them occupied while you're stuck in traffic. Texting and driving is one of the most dangerous things you can do on the road, so prevent the temptation by upgrading your child's car with a hands-free calling system. 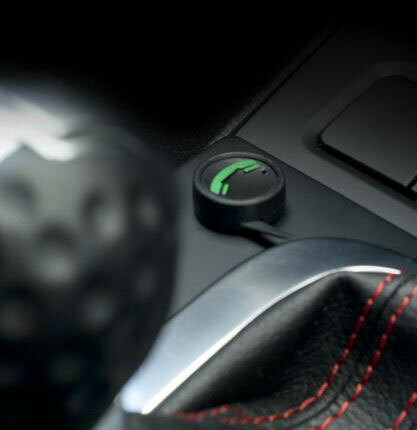 TranzIt BLU is an easy upgrade to any car's stereo, linking to a smartphone via Bluetooth to add hands-free calling, voice control (such as Siri) and wireless music streaming features to the car stereo. A microphone mounted on the car's visor and a button mounted on the dashboard allow the driver to access their phone without ever looking at it—a big boon for safety. While you can pick up TranzIt BLU HD online from iSimple, setting it up involves some wiring so you'll probably want to find a local installer to install it.Look for a Mobile Electronics Certified Professional (MECP) to ensure they have been certified to install this type of equipment. New cars are packed with high-tech features, including sensors and cameras to make sure you won't hit anything when reversing or turning. But older vehicles—or vehicles with just the basic trim level—won't have these safety-friendly extras. Fortunately you can add many of them after the fact, like the ReverseGuard rear view camera and sensor. This gadget mounts around a car's license plate, adding four ultrasound sensors as well as a full-color camera. When the car is put into reverse, ReverseGuard will sound an alarm starting when the car is five feet from an object. It's a big help for parallel parking, but it's also a crucial car safety product. Driving anywhere involves a lot of time in a confined space with nothing to occupy your kids. Fortunately, we live in an age where mobile devices are an affordable way to give the kids something to do no matter where you are. 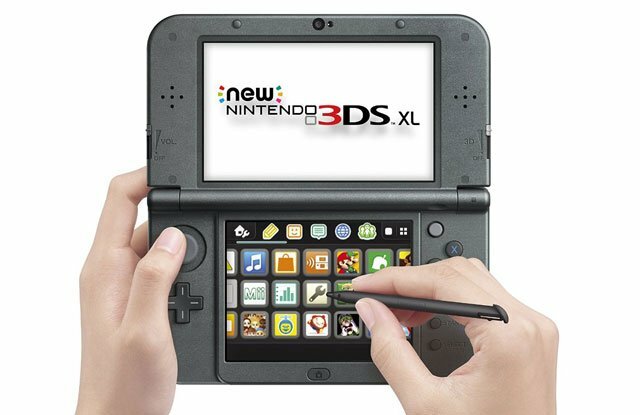 Nintendo's 3DS XL is a hand-held, glasses-free 3D gaming system—for parents concerned about 3D's effects on young eyes, the 3D can be disabled—that can play a huge range of Nintendo games. The latest model adds a faster processor, upgraded controls, face tracking, and Amiibo compatibility to an already great gaming system that's certain to keep the kids enthralled no matter how long you're stuck in traffic. It's a good choice for young kids who get bored in the back of the car, college kids who need to kill time on the bus ride to campus, or just about any age in between. If you buy, be sure to pick up some games your child will love, like Kirby: Planet Robobo, Mario Kart 7 or Disney Art Academy. Here comes the hard part: after finishing classes for the day, the kids have to put in time studying to snag a good grade. There are high-tech gadgets to help with that, too. While a shared desktop system will work for younger children, the older your child, the less likely it is that they can handle their schoolwork without their own computer. 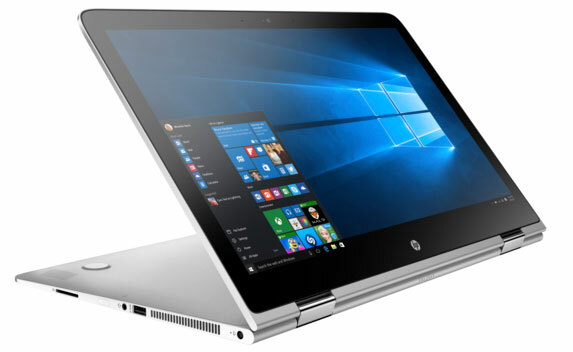 For teens in high school or heading to college, a laptop may be the right choice—and for that, we like the HP's Spectre x360 2-in-1. This is a no-compromises laptop that's just 4lbs with a 15.6" screen, up to 13 hours of battery life, super speedy Intel Core i5 and i7 processors, and a 4K Ultra HD touchscreen. Because it's a 2-in-1, the Spectre shifts easily from laptop to tablet, meaning it can serve as your child's laptop, tablet and, with its 4K screen, even television. The price for this multitasking machine is on the steep side at $1,100—but remember, you're paying for a multipurpose device that can handle a lot of tasks as well as lasting through all four years of college. Children and adults both have the occasional moment of clumsiness—and all it takes is one accident to doom a smartphone for good. That's where Otterbox comes in with the modular Universe case system which can be customized with everything from camera lenses to a battery booster. Despite this case’s flexibility, the Universe case meets the same drop protection standards as other Otterboxes, meaning your smartphone is safe and sound no matter how many times you fumble it. 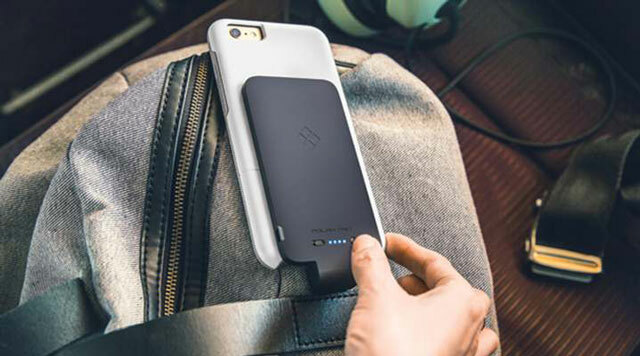 Whether you—or your child—are just trying to make your smartphone stay charged through the day or you want to be ready for an extended session of Pokemon hunting, the Universe case with a battery pack module will keep your phone safe and powered up. Though younger students won't need a laptop or smartphone, that doesn't mean they don't get gadgets of their own. Samsung's 7” Kids Galaxy Tab E Lite is designed just for young ones with a colorful bumper case to keep it safe and a pre-loaded collection of educational games. It comes with Samsung Kids, an ad-free subscription service (for kids ages 3 to 8) that offers a selection of curated educational games and books with an emphasis on STEM education. The apps promise to be good, too, featuring characters your kids love from DreamWorks, Jim Henson, PBS and more, with something for every interest. 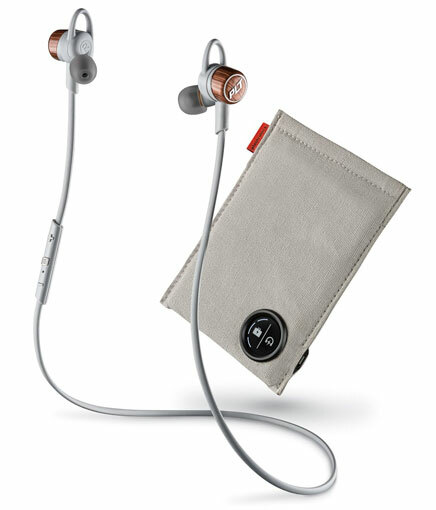 Are earbuds essential study gear? We say yes. When buckling down to study, sometimes your children need a way to turn off all the distractions: and a good pair of headphones will do just that. These wireless earbuds connect to a smartphone, tablet or laptop via Bluetooth and can stream audio for six and a half hours before needing a charge. These earbuds offer some great features for students. Their petite size means they're pocketable for a distraction-free study space wherever your child needs it, the earbuds (while not noise-canceling) are shaped to block out noise, and their long battery life means they'll last through all but the most intense study sessions. You can pick up these earbuds with or without a charging case, but if the extra $30 won't break your budget picking up the case pushes these earbuds from good battery life to great battery life. That's a feature an always-on-the-go college student will appreciate. If you're ready to grab one of these great gadgets, remember that back to school sales season is already in full swing. There's a good chance you may find any of these items at a discount. For instance, Newegg is having weekly themed sales like "Do More with Intel," which focuses on Intel-based 2-in-one tablets (8/1-8/8/2016), "Get Geared for Success," which includes monitors, printers, external storages and more (8/9/-8/15/2016) and "Techcessorize Your Dorm," which included tablets, headphones, Bluetooth speakers and more. And if that isn't enough, check to see whether your state has a tax free holiday for even more savings.